SEOcheck is updated. “v1.1” to find out the upgrades, check the descriptions below the post. And also please subscribe my mail list to get the updates. 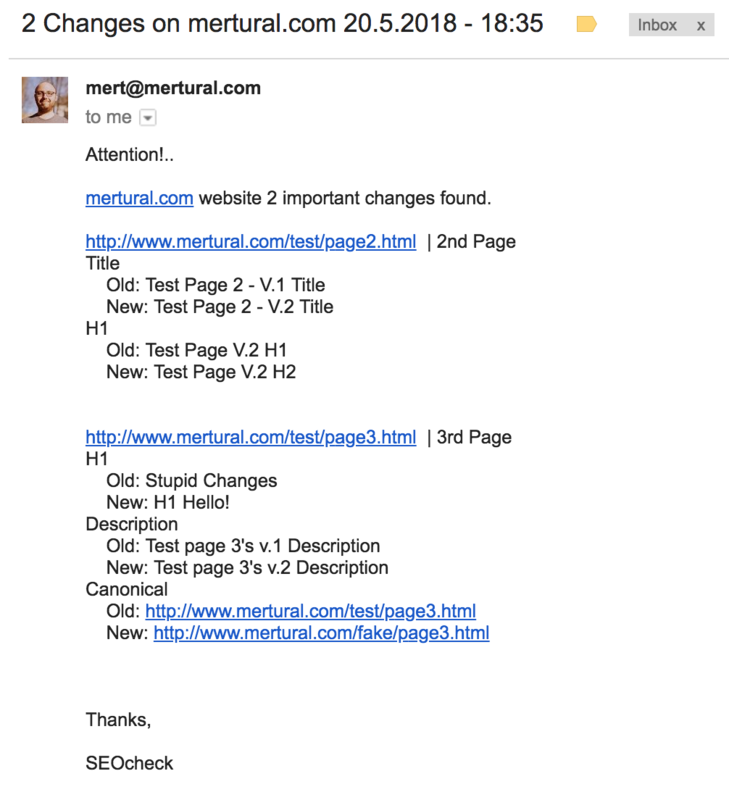 When I started to work as SEO, my colleagues were complaining about our clients were changing important SEO aspects of the pages on the important pages. 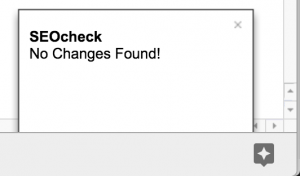 Later on I searched for tools to monitor changes important elements of the page and could not find any working well, easily ones. I tried to build tools to monitor daily organic traffic and also change monitors like this tool. Today I wanted to share this tool to help you monitor most important pages of your clients’ websites to prevent important SEO crises. 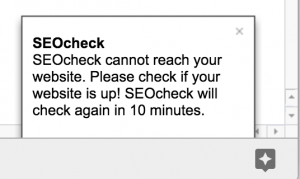 SEOcheck will be checking 20 most important pages of websites for every 15 minutes and robots.txt for every 30 minutes so you will be able to catch up the important changes nearly as it happens. 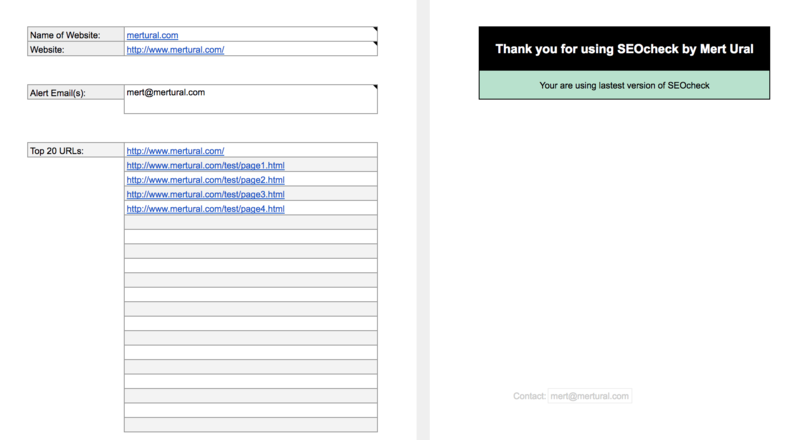 Because of the limits of Google App Script, I limited it with 20 URLs. Also most of the websites get mostly all of their traffic from first few pages of them. Click to Configure and to start monitoring Titles, Descriptions, H1s and Canonicals for 20 URLs and robots.txt of the website. 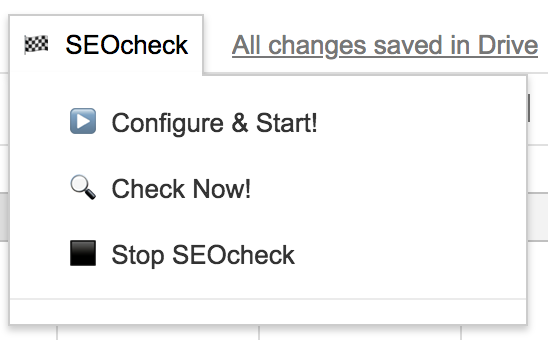 After you need to give access* the Google App Script code to execute, SEOcheck will be ready. I am not a programmer, I am just trying to use Google App Script to automate SEO processes so the code and the script created by using, mixing and manipulating other sources so there could be some problems on the tool. I added a line in the main page of the tool to announce if there is a new or fixed version of the tool. There could be some problems on the script please let me know if you found any bugs. * By giving this access you will give permission to script to operate. This will not give me any access to any of your information. But I have a Google Analytics code on the page after you see after you give the access to monitor the usage of the tool. Also, I added some fields to the right of the grey line on “conf” tab on the spreadsheet file to be in communicate with you if I have anything new to announce. 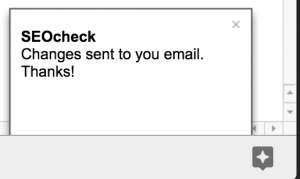 SEOcheck v1.1 – WHAT IS NEW? There was a 2 important bugs, one of them was about giving 404 errors when website was not reachable by the tool and the second was failing executions because of the Google App Script limits. If script couldn’t reach the website, tool was giving 404s for pages. It was annoying for the websites with huge traffic because sometimes they could be not reachable for a little time and you can get 404 alerts so many in a day. 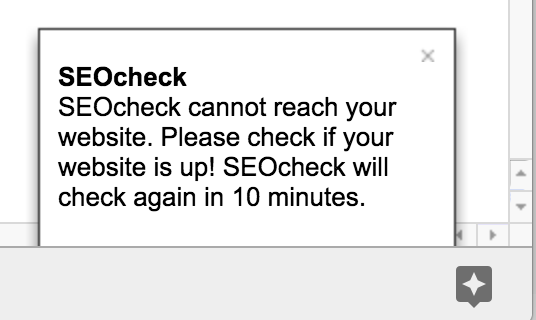 Now If tool can’t reach website, It sets a trigger to re-check after 10 minutes. Because of limitations of Google App Script, and if you use the tool for so many websites you can reach the limits of Google. 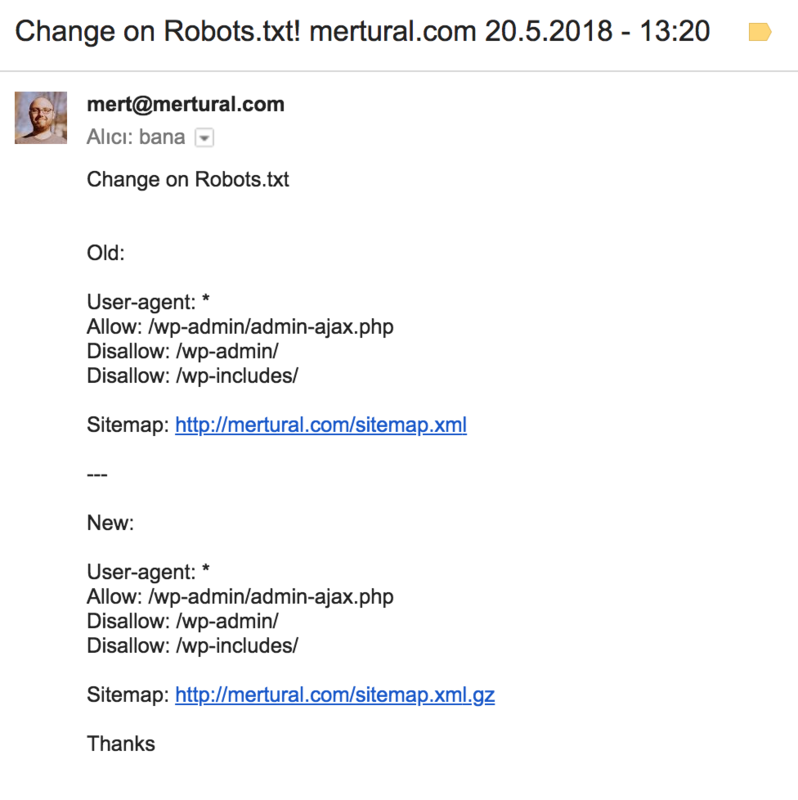 That is why I updated checking times for URL’s from 15 minutes to 30 minutes and for Robots.txt from 30 minutes to 1 hour. I realized if you click Configure more than 1 times, script creates new triggers, so it could also cause to use Google sources more. Now everytime you click to Configure it starts over. This is awesome! Thanks for bringing it to us. Is it possible to increase crawl period so we can increase the number of URLs to more then 20? Thanks 🙂 The limitations are for per executions. Google’s limit for per execution is 6 minutes. It depends on how Google can crawl this 20 URLs. So according to my tests Google Spreadsheet can crawl 20 pages safely on one script execution. Sure if I have needs more than 20 I create custom solutions but for use of everyone I tried to make it simple. (: I think users can change and use the script to create their own SEOcheck’s for their needs.